Prices Change Weekly, Seems Like! Call for the Current Price! 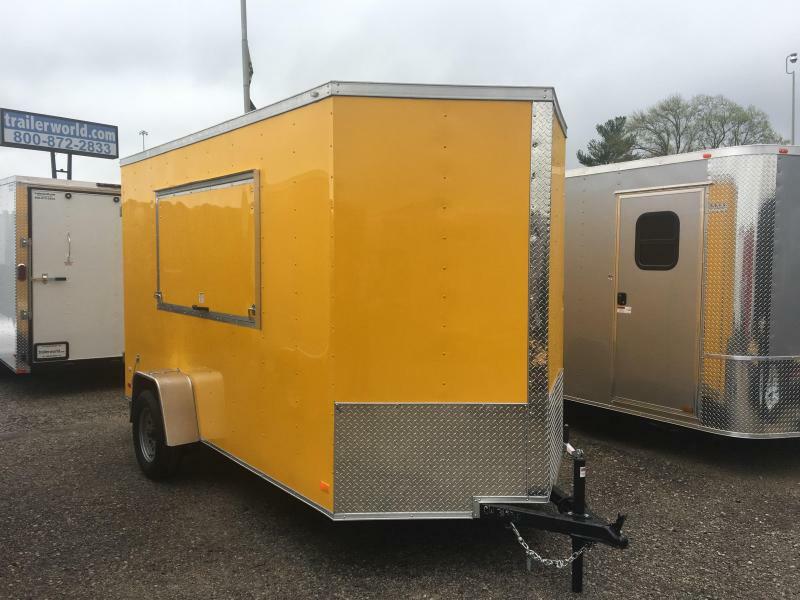 Brand New 2019 Model Freedom Brand Trailer Made in South Ga. Awesome 7ft X 16ft Tandem Enclosed Cycle Hauler & Cargo Trailer! 24" Aluminum Tread Plate Rock Guard, on the Front & Up the V Nose! Taller Inside Height is 7ft 2" Tall, 6ft 8" Tall Ramp Door Clearance! Loaded with Options in the Awesome Pewter Metallic, 030 Thick Exterior Aluminum Skin! V Nose Front Gives You More Interior Room! Two 3,500 Dexter Brand Axle w/EZ-Lube Hubs! Up-Graded 205/75/15" Radial Tires are Included! Silver Mod Steel Wheels, with Chrome Center Caps! Up-Graded Diamond Plate Aluminum Fenders, with LED Clearance Lights Look Fantastic. All LED Lights, on This Trailer! 32" Elixer Brand Side Door, with RV Lock, Lockable Barlock and Hidden Hinges! This Door is Insulated With Styro-Foam and the Inside Finished in Tan Metal! It's Fantastic! 9 Recessed Floor D Rings for Tie Downs. Set Up to Haul 2 to 4 Large Cycle's or ATV's! All the Roof Bows & Wall Studs, are made of 1" X 1 1/2" Square Tubing! Insulated Ceiling, with Thermo-Ply Insulation, Under the Roof Metal! Two LED Dome Lights, with Wall Switch is "Bright". One Roof Vent/Sky Light Combination. Full Ramp Door w/Flap Extension, Spring/Cable Lift for Ramp Door. 3/8" Plywood Walls, 3/4" Plywood Floor Looks Great! This is Truly a Super Deluxe Trailer, with a Higher Ceiling! 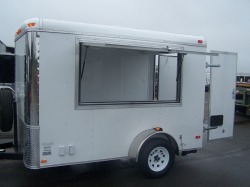 No Other Dealer Stocks This Deluxe Trailer But Us! Call Today! Visit Our Website for Other Bargains! One Hour South of Atlanta. In Macon, Ga Off the I-475 By-Pass. We are Open 6 Days by Appointment, Call Us Today! 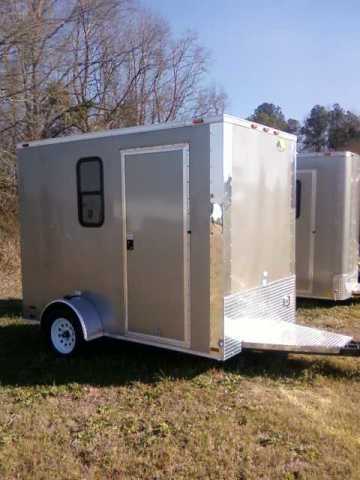 maconcustomtrailers.com Phone - Click here to reveal phone number - Trailer Macon, Trailer Atlanta, Douglas, Augusta, Atlanta Cargo Trailer, Trailer Atlanta, Columbus, Birmingham, Cargo Craft, Bee, Cargo Craft, Cargo Mate, 4 Wheeler, Polaris Ranger, Golf Cart Macon, Golf Cart Atlanta, Harley, Suzuki, Polaris Ranger, Polaris Razor, Concession Trailer, Used Cargo Trailer, Augusta, Covington, Valdosta, Birmingham, Chattanooga, Dallas, Warner Robins, Eastman, Willacoochee, Pearson, Fitzgerald, Ga.